Every day can be a journey of discovery and healing at Children's Hospital Colorado. Here, you’ll be empowered to use all of your skills and compassion as a key member of a team that has become a trusted source for caring for the children of Colorado and the surrounding region. To apply for security positions, please visit HSS (Hospital Shared Services) website. To apply for any position at the University of Colorado, please visit the CU careers website. To apply for Valet Parking Attendant positions, please visit the HealthPark Valet website. To apply for these positions, please stop by the welcome desk at main entrance at 13123 East 16th Ave, Aurora, CO 80045 and fill out a Crothall paper application. What makes Children's Hospital Colorado unique? Kids get the best care in the nation at Children’s Hospital Colorado, because our physicians, nurses, specialists and staff are the best at what they do. U.S. News & World Report began ranking U.S. hospitals in 1993 based on clinical data and surveys of thousands of specialists around the country. Since then, we’ve been recognized among the best in the nation — the only ranked children’s hospital in Colorado — with our specialties ranked among the best in their field. 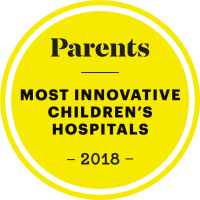 Parents Magazine and Child Magazine have also honored us as one of the top children's hospitals in the nation. In addition, Children's Colorado has received recognition for excellence in nursing and patient care by the American Nurses Credentialing Center's (ANCC) Magnet Recognition Program®. We first achieved Magnet designation in 2005, and we're presently one of only eight Magnet-designated hospitals in the Colorado. We have earned our national reputation for a simple reason: the people who work here. Our employees tell us the top three things they love about working at Children's Hospital Colorado are the amazing opportunities, the unparalleled team-centric environment and the rewards of healing children. Maybe that is why we have more than 200 employees who have worked at Children's Hospital Colorado for more than 20 years. Children's Hospital Colorado on the Anschutz Medical Campus includes a state-of-the-art 258-bed hospital, an Outpatient Pavilion, Administrative Pavilion, East Tower and the Gary Pavilion for behavioral health. In addition, we have many Network of Care locations across the Front Range and in Colorado Springs. Learn more about how Children's Hospital Colorado helps kids heal faster than any other hospital. In addition to the jobs in our database, we offer Residency Programs and Clinical Training Programs, such as fellowships and internships. Faculty positions are offered through The University of Colorado Denver. Denver is fast becoming one of the most desirable places in the country to live. Learn what makes this city special and why our team members love living here.